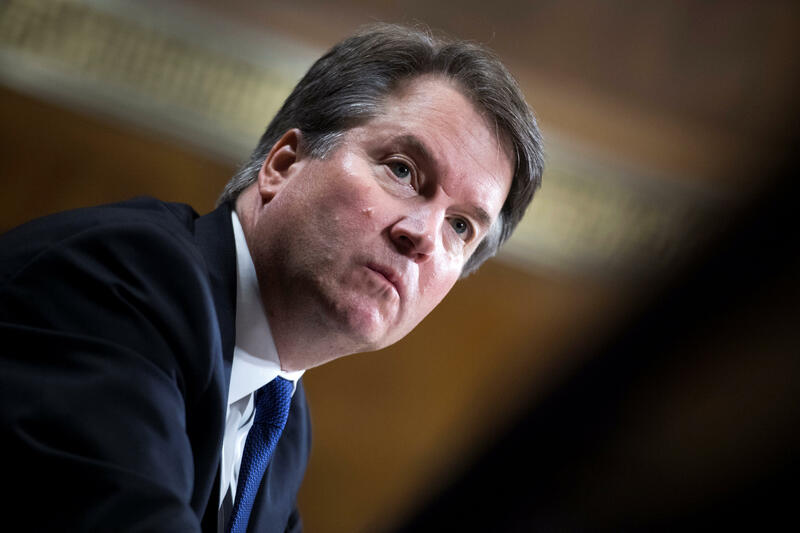 BOSTON -- Supreme Court nominee Brett Kavanaugh has repeatedly said that he was legally allowed to consume beer as a prep school senior in Maryland. In fact, he was never legal in high school because the state's drinking age increased to 21 at the end of his junior year, while he was still 17. Kavanaugh's drinking has come under intense scrutiny after California professor Christine Blasey Ford alleged that a heavily intoxicated Kavanaugh sexually assaulted her while they were both teenagers at a Maryland house party during the summer of 1982. The legal age in that state was raised to 21 on July 1, 1982; Kavanaugh did not turn 18 until Feb. 12, 1983. In testimony Thursday before the Senate Judiciary Committee, he said all of his comments during the Fox interview were accurate and could be made part of the record. Pressed at the hearing about his drinking habits in high school, he again claimed he had not broken the law. At another point, Kavanaugh, who has denied all of Ford's accusations, stated correctly that the drinking age had been 18 in Maryland for "most" of his time in high school, but the age limit had been at 21 for more than seven months before his 18th birthday. While he admitted in his congressional testimony that there were probably occasions during his time at Georgetown Prep in Maryland that he had consumed "too many beers," a combative Kavanaugh denied he had ever gotten out of control or acted inappropriately toward women. In one exchange, Democratic Sen. Amy Klobuchar asked Kavanaugh if he had ever blacked out from too much alcohol. "So you're saying there's never been a case where you drank so much that you didn't remember what happened the night before or part of what happened?" Klobuchar asked. "You're asking about blackout, I don't know, have you?" Kavanaugh asked. "Could you answer the question, judge?" Klobuchar asked. "That's not happened, is that your answer?" There was a grandfather clause in the Maryland law, but only for those who were 18, 19 or 20 on the day the increase went into effect, thereby not including Kavanaugh. Alcoholic consumption by Kavanaugh also would have been illegal during the notorious Beach Week, an annual trip to the Eastern Shore that involved heavy drinking, according to numerous eyewitness accounts. Kavanaugh could legally drink in nearby Washington, D.C., for the final five months of high school. The drinking age there did not increase to 21 from 18 until 1986.